BRYAN EATON/Staff Photo. Recess was certainly outdoors yesterday as the temperature was into the 70's and will continue to stay warm into the weekend. 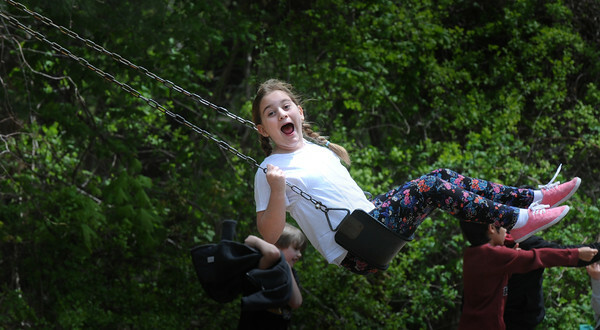 Katie Skafidas, 10, played on the swingset at the playground along with other classmates.